Turtle doves build nests in hedgerows or scrub usually over 4 meters tall. They can be found mostly in southern parts of the UK. However, the turtle dove is in decline due to a lack of seed and grain during the breeding season. One of the most interesting facts about the turtle dove is that they are the only migratory dove and pigeon species in the UK. During migration, they are known to cover up to 435 miles in one night, reaching speeds of almost 40 mph. Discover all there is to know about the beautiful turtle dove and how you can help their nesting attempts. What does a turtle dove look like? A turtle dove is smaller in appearance than a collared dove, and much darker, but is larger than a blackbird. Its body shape is also similar to a collared dove and its head could be mistaken for one. A turtle dove has a few distinct features that can help you tell the bird from other pigeons and doves, like the black and white patch on its neck along with its distinct brown and black wings. What does a turtle dove sound like? The turtle dove’s sound is more of a coo that is similar to that of a collared dove. Have a listen below. What do turtle doves eat? 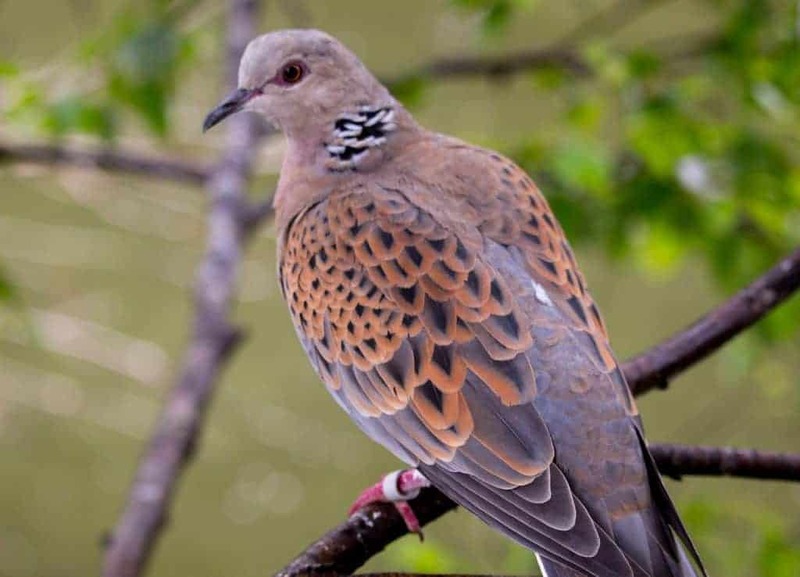 The turtle dove population has been in decline over recent years due to a lack of seed and grain during their breeding season (starting in April or May), which has resulted in the bird’s Red List status. If you’d like to help out the turtle doves in your garden during spring, with natural sources of food in decline, you can get some of our wild bird food containing seeds and grains. Feeding them bird seed during the spring months could really help to increase their nesting attempts, and ensure we have these beautiful birds around in the UK for much longer. Where do turtle doves live? The turtle dove is known for its migration from the UK between July and September (when they return to West Africa) and returning in spring the following year to breed. During this time, as they are in decline, turtle doves are mostly only seen in southern and eastern parts of the UK. If you would like to attract turtle doves to your garden, they are known to enjoy the fumitory plant for its fumitory seeds. Did you know? You are more likely to spot a turtle dove in Suffolk and Kent than any other counties in the UK. 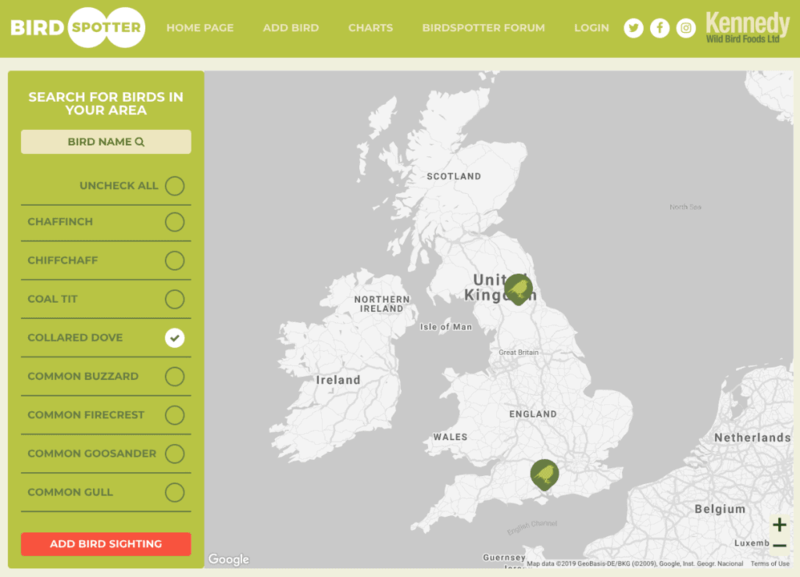 If you do spot a turtle dove in your area, don’t forget to log it on our Birdspotter map!